The downtown trees have been lit, there's multi-colored lights reflecting off tinsel everywhere, and more people have a smile on their face for the most wonderful time of year. There are plenty of opportunities to catch a show with friends and family or make a date night out of a winter concert. Here are this week's best arts events in St. Petersburg, Clearwater, and everywhere close to get you in the holiday spirit. Thursday, December 7 - Sunday December 10. Friday 8:00 p.m., Saturday 3:00 p.m. & 8:00 p.m., Sunday 3:00 p.m. This take on Shakespeare's classic "original Rom-Com" is directed by Artist-in-Residence Benjamin T. Islamil, and starring producing artistic director Stephanie Gularte as Beatrice, is set right at the end of World War II and "full of music and dance, and set against the backdrop of the Florida Keys' bright sunshine." This plays in the intimate Raymond James Theatre where American Stage resides. Tickets available here and start at $39. An aviator crashes his plane in the Sahara Desert. There he meets a little prince who has left his home on Asteroid B-612 and its only other inhabitant, his beloved rose. The most translated book in the French language, this allegory remains a beautiful example of personal struggle manifesting itself as transcendent art. A great production for the whole family during the holidays, Eric Davis directs another classic in the Sanctuary of Freefall Theatre. Tickets are available here. This show runs through December 24th. Take a break from the holiday bustle and enjoy a slapstick farce about a department store Santa working long hours to buy his wife a fur coat for Christmas. When he tells his wife he will be working late, she suspects an affair is afoot and hilarity ensues! This comical Christmas chronicle is just the light-hearted fun you and your family have been looking for! Mozart's opera about one zany day is coming to the Tarpon Springs Performing Arts Center! This intricate plot of love, marriage and deception will be sung in English and performs this weekend only. The Suncoast Symphony Orchestra plays Sounds of the Season. 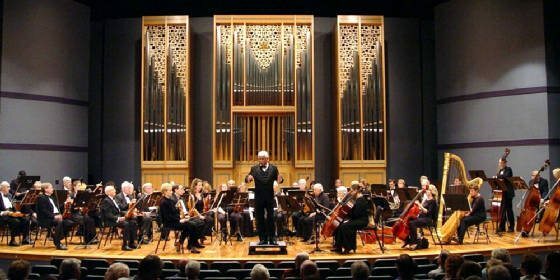 A holiday concert in two locations for the whole family, this volunteer orchestra has been in operation for over 30 years! Who doesn't love Verdi, Elgar and Tchaikovsky in the morning? Ring in TFO’s 50th season with celebratory music, complimentary coffee and doughnuts and insights from Principal Guest Conductor Stuart Malina. Pre-concert conversations start at 10 a.m. and the musicians will be collecting new and unwrapped toys to donate to Toys for Tots. Solo Piano Recital featuring a program of Mazurkas, Tangos & Beyond: Chopin, Mompou, Poulenc, Schifrin & Argentine Tangos. SPC Music Center is located at 6605 5th Ave N., St. Petersburg, FL 33710. Our Trail: Performances on the Pinellas Trail: St. Petersburg! Saturday, December 9 | 5:00 p.m. | Free! The final performances of Our Trail, a vehicle conceived by Director Andee Scott to "expand the reach of live performance across the county." 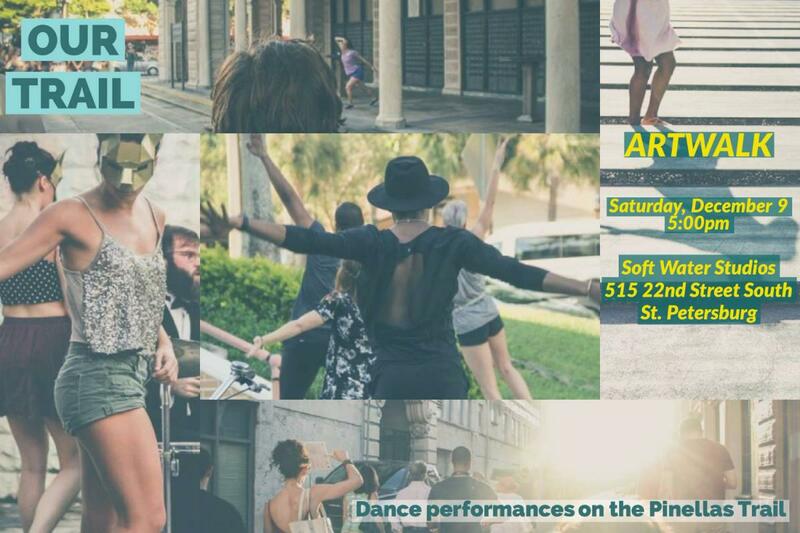 A part of ArtWalk St. Pete, this performance will feature site-specific dance works by Helen Hansen French, Kellie Harmon and Andee Scott, with original music by Alisha Erao, Florent Ghys and Mike Alexis. A unique performance event of dance and live music in an intimate space. Spending your evening at the theatre or taking in a ballet or symphony is a fun date night or a great gift for your loved one. It's even better when you can support the local arts in our area. So when you're thinking about what to do this week, check out 727area for the coolest Things To Do in the Bay Area around Christmas-time. And don't forget to register for free on the site for the latest updates!